Sole LCR Light Commercial Recumbent Exercise Bike is known to be most dependable, comfortable and affordable exercise bike. It has features like 30 lb. heavy flywheel , 40 levels of resistance , supportive back and adjustable seat.Sole LCR Light Commercial Recumbent Exercise Bike is heavily used in apartment complexes, physical therapy clinics, fitness studios, school weight rooms or even for home use. *Note: Most of the sites, stores or shopping portals listed above sell Sole LCR Light Commercial Recumbent Exercise Bike with discounts and other exciting offers. There is a possibility that the some of above websites are not selling Sole LCR Light Commercial Recumbent Exercise Bike now. Toughtrain.com is not liable for such cases or instances. 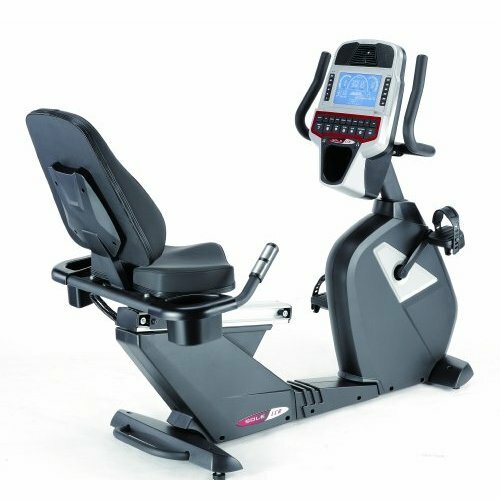 Also we do not recommend any seller for Sole LCR Light Commercial Recumbent Exercise Bike and a buyer should buy from where he/she gets best deal with quality of products, service and on time delivery (shipment).